It is dated 1971. Its medium is mercerized cotton double weave. 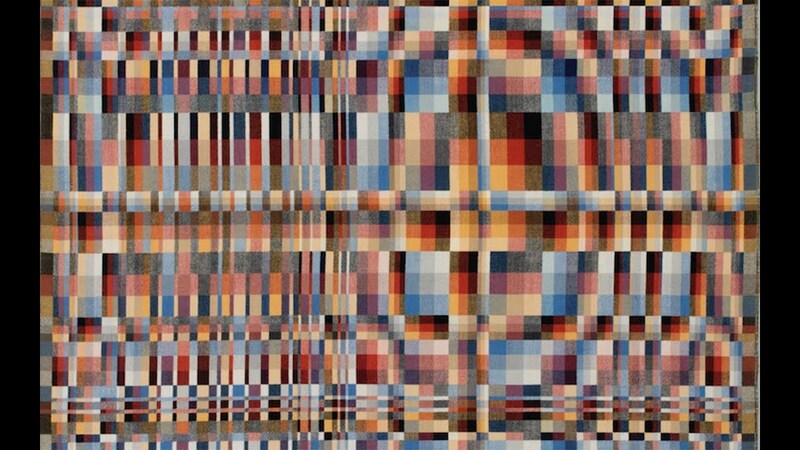 This early weaving displays many of the concepts that undergird Landis’s work: small, medium, and large rectangles repeat in ever-changing order, and every possible color combination is played out both horizontally and vertically. The movement of the full tones around the field give the piece energy and dynamism. It is credited Frederick and Frances Sommer Foundation. 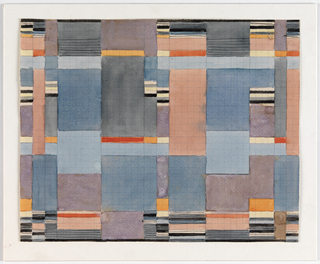 We have 1 video that features Textile, Full Tone/ Half Tone Blocks, 1971.